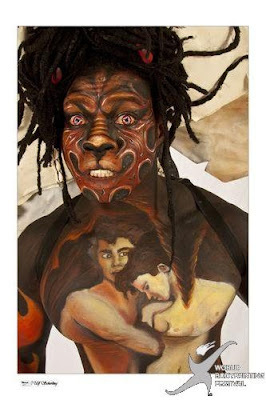 Each year I wait to look through the "Best Of" images from the World Body Painting Festival. I love to to see all the artists with there models. The beautiful and wonderfully painted models posing with the paint stained and tired artists. Especially wonderful are the images by Ulf Sherling.